Textured Talk: What’s the maximum amount of time someone should leave a sew-in installation in their hair? Marissa: Even though your hair extensions might stay intact after 2 months it’s highly recommended that they are removed in 8-10 weeks. Getting accustomed to wearing hair extensions may give false comfort, your hair IS growing underneath and you don’t want the weight of the hair extensions to cause tension, damaging your mane. 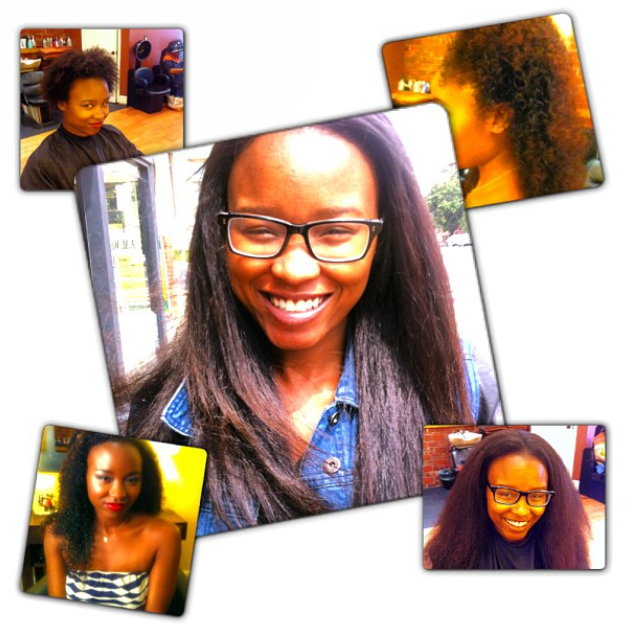 TT: How can the hair remain moisturized and healthy while transitioning with a sew-in? M: The key to keeping your hair healthy while wearing hair extensions is to make sure it’s healthy before your install. Getting regular steam/deep conditioning treatments prior to and during your install accompanied by a trim will preserve your healthy hair and encourage growth. If your hair is weak consult a professional hairstylist about protein treatments prior to installation. Setting a healthy hair foundation maximizes healthy results. Also during installation, braiding the hair with anti-fungal oils such as carrot, coconut or tea tree oil to promote growth is a healthy option. TT: Speaking of moisture, what is the proper way to wash the hair while maintaining a sew-in style? M: To properly shampoo your hair, you first want to examine the foundation. Getting familiar with your new hair before it is wet will give you a clear understanding of where to place your hands when shampooing. Once you’ve identified where your scalp is, palm your head with both hands, insert your fingers where you feel your scalp and proceed with a clarifying shampoo massaging thoroughly back in forth. Using clarifying shampoo will cleanse the extensions and your scalp of build up that weighs the hair down and causes scalp odor. You can use also use it on your hair at least one time followed with whatever your hair needs (moisturizing, therapeutic or a normal shampoo). The biggest difference between what you normally do is that you are not moving your hands in a vigorous motion, this will dismantle your installment. Conclude each shampoo with a thorough rinse between each track. Shampoo 3 times and conditioner in extensions is not always necessary (based on texture and desired style) but primarily focus on your hair. TT: What are some best practices for the hair “breathing” period in between new installs? M: Once hair extensions are removed, it’s important to let the hair breathe. Following up with a steam/deep conditioning treatment, and a trim, a blow out or any tension-free style is greatly advised. This allows rest from the weight of the hair extensions on your new growth, circulation, and moisture from the steam/deep conditioning treatment, and starting fresh and clean with the shape and texture from the trim. Once hair has remained dormant for 8-10 weeks, it grows out of the last shape and into a new one, creating density due to length and creating more coarse hair because of the braids. 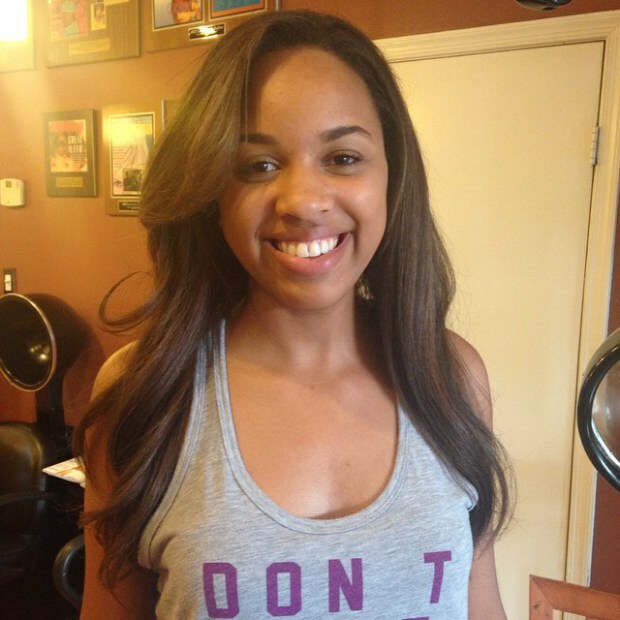 TT: What can women do to blend their “leave-out” without heat damaging the hair? M: Blending your hair with extensions is easiest when you choose a texture that compliments your own. Have a consultation with your stylist, before your service and request to have the least amount of your hair out. 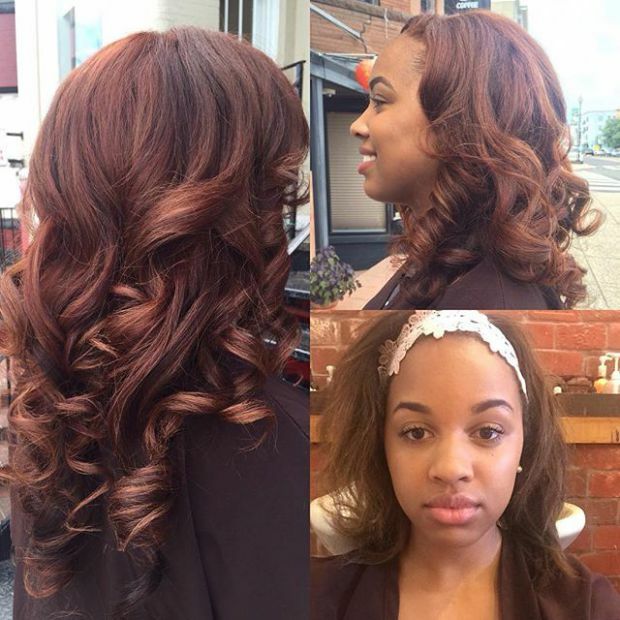 Choose a stylist that is knowledgeable in the service you desire and they will give you options in texture and installation to customize the most natural look for you. When styling your hair at home only use heat on your hair after it’s been freshly shampooed and conditioned. The constant use of heating tools on unclean hair will cause damage. Once your hair reverts and you need some help blending, go to your products and accessories. Use an edge control in either an oil base or matte finish (depending on the desired look), along with a scarf to tame unruly edges. Also, you can use hair accessories such as head bands, scarves, novelty hair pins to add variety to your style. Adding pretty hair pieces can not only hold hair in place (alone or with the help of a small twist or braid stretching the edges without heat) but they add style to your coif redirecting the focus to your overall look. TT: And finally, what’s the best way to protect your precious edges while wearing a sew in? M: The best way to protect your edges is to wear a closure. If you are not a fan of the closure make sure you properly communicate your concerns with the stylist to rotate the ways your hair is installed, so you’re not creating tension on the same areas. Use a leave in conditioner as well as deep conditioning while you have extensions to keep the edges moisturized. Practice great healthy hair habits as mentioned above ( no constant reuse of heat). Sometimes give your edges a break and wear a textured style by braiding the weave with your hair to create a desired texture. Last but not least try a bang, a great face framed cut with a bang always serves style and shows no edge in sight, while still giving a natural appearance. Thanks so much Marissa! You can also find Marissa on Instagram at @dchairlady. Great information,I were thinking about getting a weave for a protective style. I love my natural hair but want a style in which didn't require proper maintenance every week.